Maclean was an SAS officer who spent time in Cairo and knew Paddy. His life is quite extraordinary. 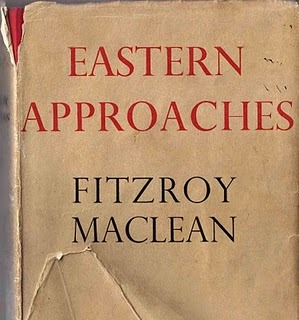 I recommend reading Maclean’s book, ‘Eastern Approaches’. It starts off a little slowly, but includes a gripping account of a very high profile Soviet show trial. His story really steps up five gears when he joins the fledgling SAS and is then selected to continue the work of F W D Deakin with Tito in Yugoslavia. Deakin’s book ‘The Embattled Mountain’ is also excellent. Fitzroy Maclean owes his place in history to the extraordinary 18 months he spent as Winston Churchill’s special envoy to the Yugoslav leader Josip Tito in 1943-45. He sometimes expressed regret that, as with his hero Bonnie Prince Charlie, the historically significant portion of his life was compressed into 18 months at a comparatively young age. More dispassionate commentators would say that he packed an unbelievable amount into his 85 years. Maclean always believed in the motto that it was better to live a day as a tiger than a year as a donkey, but in fact he managed to combine the excitement of the one with the longevity of the other. His background as member of a Scottish clan and its Jacobite connection was extremely important to him. “Thank God I am a Maclean” was the family motto. Born in 1911 in Egypt, the son of an officer in the Cameron Highlanders, Fitzroy inherited from his father the martial tradition and from his mother the love of languages. Educated at Eton and King’s College, Cambridge, where he took a First in Part One of the Classical Tripos, Maclean was initially drawn to the academic life but the crisis in Europe in the early 1930s convinced him he should enter the Diplomatic Service, then a tightly knit body numbering no more than 250 souls. After passing the stiffly competitive examinations, the young Maclean was marked down as “one to note”. His initial three-year posting was to Paris, which he saw in the troubled context of the Front Populaire years. Then, in 1937, instead of opting for a “fast track” posting to Washington, he made what was considered an eccentric decision to plump for a posting in Russia. 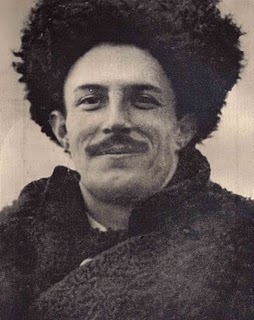 He arrived at the time of the great purge trials, and in February 1938 was in court daily for the nine-day trial of Nikolai Bukharin, later memorably recreated in his first book, Eastern Approaches. Through a close friendship with his opposite number in the German embassy, he was able to give advance warning of the likelihood of a Nazi-Soviet pact. His two years in the Soviet Union were also memorable for the many unauthorised journeys be made to the eastern Soviet Union, principally Samarkand, Bokhara, Tashkent, Batum, Tiflis. He led the Russian secret service agents, who dogged his steps, a merry dance, travelling on trucks and second-class trains. But he was adamant that he made these journeys for his own self- realisation and was never himself a secret agent. In 1939 he was transferred to London, to the Russian desk of the Foreign Office’s Northern Department. He had always wanted to emulate his father and be a soldier, so when war broke out in September he was eager to sign up with a combat regiment. But the Foreign Office counted as a reserved occupation, and two dull years elapsed. Poring through service regulations, Maclean discovered the loophole he was looking for: on election as an MP, a Foreign Office man was obliged to resign. Using his charm and considerable diplomatic skills, he got himself adopted as the Conservative candidate at the 1941 by-election in Lancaster. He then immediately enlisted as a private in the Cameron Highlanders. For an Etonian diplomat and prospective Member of Parliament to enter the ranks in such a crack regiment was an extraordinary thing to do, and the singularity of the decision has perhaps not been sufficiently underlined. Rubbing shoulders with tough squaddies from the Gorbals was a key formative process. Elected MP for Lancaster, he was now safe from recall to the Foreign Office. After basic training Maclean was commissioned as a lieutenant and seconded to an elite commando unit being trained in Cairo to destroy the Baku oilwells on the Caspian – a bizarre project to have been entertained against the property of an ally but one thought necessary if the German army broke through in the Caucasus. 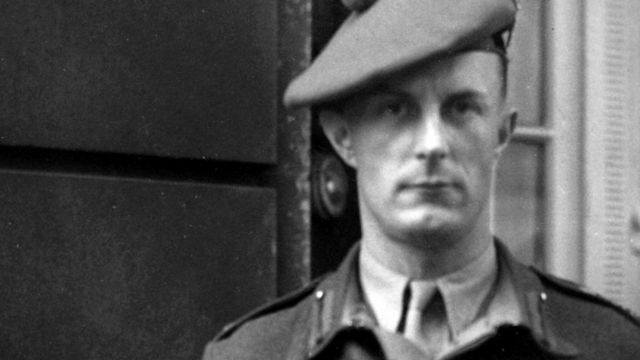 The project was soon shelved, so Maclean, at a loose end in Cairo, accepted an invitation from David Stirling to join the newly formed Special Air Service. It is on his daring exploits behind enemy lines with Stirling that his reputation as war hero securely rests. On recovery, Maclean took part in another raid on Benghazi and was then employed by General “Jumbo” Wilson in Persia (Iran) on a further mission, to arrest the pro-Nazi governor-general of Isfahan, General Zahidi. His rapid promotion, from lieutenant to brigadier in two years, provoked envy among his critics. But his success in these missions later led his friend Ian Fleming to base aspects of the character of James Bond on Maclean. More importantly, they convinced Winston Churchill that Maclean was the right man to head a military mission to Tito and the partisans in Yugoslavia. Since 1941 Tito had been pinning down more and more German divisions in a highly successful guerrilla war. But there was another faction in Yugoslavia: the royalists and their military arm, the Chetniks, led by General Draza Mihailovic. Maclean’s task was to find out, in Churchill’s words, “who was killing the most Germans”, regardless of political ideology or affiliation. Maclean’s unorthodox methods, his refusal to go through channels, and the fact that he was known to have Churchill’s ear, infuriated Special Operations Executive, who felt that he vas meddling in areas that were properly theirs. Friendly critics dubbed Maclean “the Balkan brigadier”, “the Scarlet Pimpernel” and even (from his penchant for Highland dress) “Lothario in a kilt”. Inveterate enemies, like SOE’s Brigadier Mervyn Keble, had a less complimentary spread of nouns and epithets. Maclean parachuted into Yugolavia with his mission in September 1943. His subordinates were a motley crew, some first-rate technicians, others mere prima donnas such as Randolph Churchill and Evelyn Waugh. Maclean built up a personal rapport with Tito which never faded, established a supply lifeline which ensured that the guerrillas received arms and material from the West, and managed the problem of “cohabitation” with a prickly Soviet military mission, also attached to Tito. He discovered that the partisans were bearing the overwhelming brunt of the war and reported to Churchill accordingly. For nearly two years, based either on the Adriatic island of Vis or in the Yugoslav interior, Maclean and his companions shared the fluctuating fortunes of Tito and the partisans, culminating in the triumphant battle of Belgrade in October 1944, when the partisans co-operated effectively with Stalin’s Red Army to destroy German military strength in the country. Maclean also acted as go- between in an acrimonious meeting between the Yugoslav leader and Churchill in Naples in August 1944. When Tito came to supreme power in Yugoslavia after the war and executed Mihailovic, the cry arose that Britain should never have supported Tito and the Communists but should have made Mihailovic and the Chetniks the target for their military aid. For nearly 50 years the canard persisted that Maclean misled Churchill about the true situation in Yugoslavia and, even more absurdly, that he was “soft on Communism”. Several comments are in order. First, Maclean was always a fervent anti-Communist and man of the Right. But he was a realist, unable to deny the evidence of his senses for ideological reasons, and he had a clear, military, non-political mandate from Churchill. Secondly, Tito would have prevailed in Yugoslavia with or without British aid, but the British connection was all- important psychologically when Tito broke with Stalin in 1948 to pursue an independent, non-aligned, “Third Way” style of Communism. Thirdly, Mihailovic and the Chetniks were the military arm of Greater Serb nationalism. Events since the break-up of Yugoslavia in 1989 have tarnished the credibility of Serb nationalism. It is ironic that it took the horrors of the Yugoslav civil war before the claque of anti-Maclean tongues was finally silenced. Tito’s calibre as a leader was fully demonstrated by the Herculean task he performed in keeping Yugoslavia united for 35 years after the war. It will be surprising if he does not gain stature as post-war history is reassessed, and such revisionism can only vindicate the correctness of the advice Maclean gave Churchill in 1943-45. Maclean the war hero found it difficult thereafter to find a niche for his unique talents. His autobiography Eastern Approaches was a best-seller in 1949, though none of the 15 books he wrote afterwards was quite so well received. He continued as Conservative MP for Lancaster until 1959 when, wanting a Scottish constituency, he became the member for Bute and North Ayrshire, and served there until 1974. Churchill appointed him Under-Secretary of War in 1954, where he had an important behind-the- scenes role during the Suez crisis of 1956, but Harold Macmillan sacked him in 1957, allegedly for poor performances in the House. Created a baronet in 1957, Maclean branched out in other directions. He ran his own hotel, “The Creggans”, on the shore of Loch Fyne. He became a respected associate producer, writer and presenter of television travel documentaries, specialising in Eastern Europe and the Soviet Union. Above all, he was a tireless traveller. He travelled light, with a kitbag containing a Russian novel and an ancient classical author, both in the original. At an age when most people have given up on linguistic ambitions, Maclean continued to hone his knowledge of French, Italian, German, Russian, Serbo- Croat, Latin and Greek. An admirer of Margaret Thatcher, he steered her through the intricacies of Yugoslav politics, advised her to put her political money on Gorbachev in 1985, and acted as special adviser to the Prince of Wales when he visited Tito in the 1970s. The steep downward spiral towards disaster in Yugoslavia after Tito’s death in 1980 deeply saddened him. One of only three foreigners allowed to own property in the country during the Tito period, Maclean spent a good part of each year at his seaside villa on the Adriatic island of Korcula. A man of great physical courage and enormous charm, Fitzroy Maclean was certainly the last of a breed, a real-life imperial adventurer in the tradition of Kim and Richard Hannay and an action man in the mould of Sir Richard Burton and, his own special hero, Bonnie Prince Charlie. He loved food and drink, good conversation and the company of pretty women. The initial image of a haughty, suave, privileged Etonian gave way, for those who knew him well, to a man with an advanced sense of humour and the absurd. The patrician persona masked an essentially simple man, with a rugged humanity that seemed to belie the breadth of his interests; there was nothing of the oddball about Maclean. Politically he was the kind of Conservative who believes in order and hierarchy rather than original sin, and he expressed an optimistic view of human nature. He liked other human beings and was at ease with people from all walks of life, from dustmen to duchesses. As his Scottish parliamentary colleague for the last 12 years of his 33 years as a Member of Parliament, writes Tam Dalyell, I never heard Fitzroy Maclean say anything simplistic. Had the House of Commons been televised when he and his generation, Conservative and Labour, were in the autumn of their parliamentary careers, a different impression would have been created on the viewer. These were people who had come to politics from very different experiences, and had done their apprenticeship not as political researchers, but on the anvil of world war danger. Their presence enhanced the House of Commons as a serious forum of the nation. In the early 1960s it simply would not have occurred to any of the generation of new MPs to be rudish or cheekyish to Maclean and his contemporaries. Furthermore, as incoming prime minister, Harold Wilson handled the questions of such as Sir Fitzroy Maclean, Brigadier Sir John Smyth Bt VC, Commander Sir John Maitland RN and Air Commodore Sir Arthur Vere Harvey with gingerly deference. Maclean’s political importance lies not in the office he held as Parliamentary Under-Secretary of State for War but in his personal relationships over 30 years particularly with leading Conservatives, such as Churchill and Macmillan. Harold Wilson knew that Maclean had been one of the prime movers in Macmillan’s visit to Moscow in 1959 which started the thaw. Usually through George Wigg, Maclean reciprocated by offering Wilson as prime minister his best advice and contacts in Eastern Europe. Unsurprisingly Maclean was cool about Alec Douglas-Home and the only occasion on which I saw Maclean verging on anger was when, in 1971, his foreign secretary had expelled 90 Russian diplomats. “It was an indulgent and expensive gesture which could serve no useful long-term purpose.” Who else, again, but Maclean would tell Winston Churchill to his face that his speech at Fulton, Missouri, in 1946 coining the phrase “Iron Curtain” and ushering in the Cold War was unwise to the point of being ridiculous? The day after John Smith’s funeral the then government Chief Whip, Richard Ryder, said to me, “As we passed you in our official car the Prime Minister and I wondered who on earth was that man with you bent double struggling up the pavement with such courageous gallantry and tried to place him.””Fitzroy Maclean,” I said “determined to come to say goodbye to his Labour friend of the Scotland/USSR Association.” “A legend,” said Ryder. A legend of courageous gallantry. Fitzroy Hew Maclean, diplomat, soldier, politician, writer: born Cairo 11 March 1911; MP (Conservative) for Lancaster 1941-59, for Bute and North Ayrshire 1959-74; CBE (mil) 1944; Parliamentary Under-Secretary of State for War 1954-57; Bt 1957; KT 1993; married the Hon Mrs (Veronica) Phipps (nee Fraser; two sons); died 15 June 1996. This entry was posted in Obituaries, Other SOE Obituaries and tagged Fitzroy Maclean on June 29, 2011 by proverbs6to10. “Maclean was an… …SOE officer who spent time in Cairo” says your heading to Frank McLynn’s obituary. No he was NOT “an SOE officer”! Read the obituary, for goodness sake. You may find it enlightening. Point taken but you could have phrased it more politely. I just stumbled upon this post looking into Fermor. Interesting coincidence because I’m having dinner with Maclean’s son on Friday night, whom I’ve known for many years. Easter Approaches is a wonderful read, I agree. Interesting blog! Thank you for your kind words Paul. Please tell him about the blog, and the idea of creating a PLF Society to celebrate Paddy’s life, work, and his friends and associates (incl SOE). Very inclusive. We will be looking for supporters and sponsors when we get going! And I love the description of E. Waugh–a “mere prima donna”! If Eastern Approaches is not up to Paddy’s level of writing (that would be difficult), it still makes a very entertaining read. I am happy this contains the story of Maclean at John Smith’s funeral. I remember buying Eastern Approaches when I was a callow teenager in the 1950s. It made an enormous impression on me.